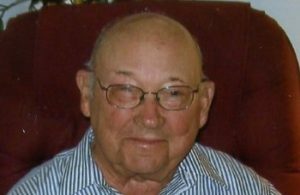 Benson, NC: Mr. Lamuel Lee Dixon, age 88, of 952 Pleasant Hill Church Road died Sunday, February 17, 2019 at his residence. Funeral Service will be 3:00 PM Tuesday, February 19, 2019 at Garner Advent Christian Church. Officiating will be Revs. Adrian Dixon and Kenny Latimore. Burial will follow in Roselawn Cemetery, Benson. Mr. Dixon was born October 23, 1930 in Johnston County to the late Albert Otha and Lettie Bell Byrd Dixon. In addition to his parents, Mr. Dixon is preceded in death by brothers: Rev. Carl Dixon, AJ Dixon, Rev. Eumneese Dixon, and Willis Dixon, and sister, Gerturde D. Parish. He retired from Carolina Coach Trailways as a bus driver. Mr. Dixon was a charter member of Garner Advent Christian Church and a member of Vandora Springs Masonic Lodge #1120. Survivors, include; wife of 68 years, Margine W. Dixon; daughters, Sheila D. Wiggins of Garner, Roselynn D. Dasinger and husband, Paul of Clayton; son, Steven L. Dixon and wife, Debra of Garner; four grandchildren, Rev. Adrian Dixon, Rev. Eric Dixon, Barbara Dasinger, Michael Dasinger; 10 great-grandchildren; brother, Rev. Graham Dixon of Smithfield; sisters, Lourise D. McLaurin of Smithfield; Velma Baldock of Chicago, Illinois; many nieces and nephews. Family will receive friends from 1:00 PM to 2:45 PM Tuesday prior to the service at Garner Advent Christian Church and other times at the home. Flowers are welcomed; however, memorials may be made to, Northside Community Church Building Program, 621 N. 1st Avenue, Knightdale, NC 27545. Arrangements by Rose & Graham Funeral Home, Benson.